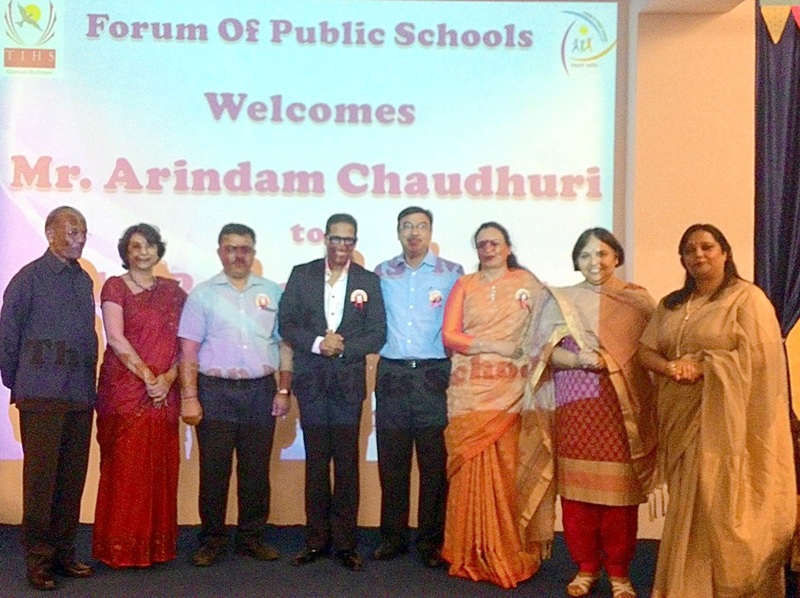 The Indian Heights School, Sector 23, Dwarka hosted Forum of Public Schools-Principals’ Meet on September 23, 2015. The program began with Saraswati Vandana & Welcome Song by the school students followed by the floral welcome to the Patrons, Core Team Members and all the other Members of Forum of Public Schools. The event was a remarkable one as the day witnessed the revered principals from more than 50 schools under one roof to share their thoughts, ideas, experiences, solutions and challenges related to education and education system. The members of the forum discussed and interacted as they pondered over, reflected and collaborated to discuss the eminent issues especially the needs and concerns thereby empowering the schools to face and meet the challenges. The highlight of the programme was the inspirational talk by Guest Speaker a well renowned author and Management Guru Mr. Arindam Chaudhuri, director of IIPM. Mr. Chaudhuri in his address stressed the need for global moral values in school curriculum. He said that values and morals are a reflection of our spirituality, our character. They are what we hope to model for our children. The program concluded with the Vote of Thanks to all the visionaries & educators.